Pegasys Inc. (Ryogoku, Sumida-ku, Tokyo; CEO: Tak EBINE) today announced at the NVISION® 2008 visual computing conference, being held August 25th to 27th in San José California, that it will use NVIDIA® CUDA™ technology to offload much of the processing required for TMPGEnc 4.0 XPress from the CPU to the graphics processing unit (GPU). A beta version of the software shows up to 446% performance increase over the CPU-only version. NVIDIA's CUDA technology is the world's only C language environment for the GPU. It enables programmers and developers to create software for quickly solving complicated computation problems using GPU multicore parallel processing capabilities. To date, NVIDIA has shipped over 80 million CUDA-enabled GeForce® 8 Series and higher GPUs, the largest installed base of general-purpose, parallel-computing processors ever created. The latest generation of NVIDIA GeForce GPUs offer up to 240 processor cores, compared to a maximum of the four cores found on the highest-end CPU. Any process that can be divided into multiple elements and run in parallel can be programmed to take advantage of the massive processing potential of the GPU. 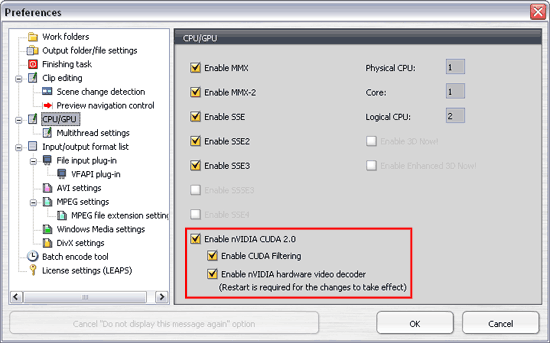 "NVIDIA CUDA technology has already made a substantial difference in the performance of TMPGEnc, a very popular creative video editing tool for consumers, yet we are just scratching the surface of the visual computing capabilities of NVIDIA GPUs. As Pegasys continues to offload more and more of the functionality to the GPU, we will see dramatic results that will be a boon for both video enthusiasts and casual home movie users looking for simple and fast ways to edit, share, and enjoy their video," said Michael Steele, general manager of visual consumer solutions, NVIDIA. In the beta version, application performance has been increased by up to 446% with CUDA technology, compared to the Intel Core2Quad Q9450, a top-of-the-line CPU. 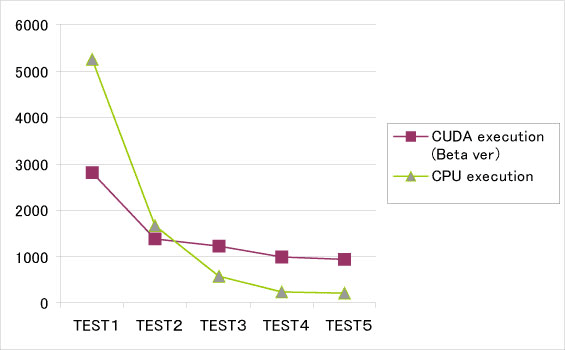 This demonstrates that CUDA technology will have a major impact on encoding speed, which requires a lot of filter processing. The beta version of TMPGEnc using CUDA technology is available from Pegasys upon request for press purposes only. Release dates for final versions of TMPGEnc using CUDA technology, starting with TMPGEnc 4.0 XPress, have not been announced.